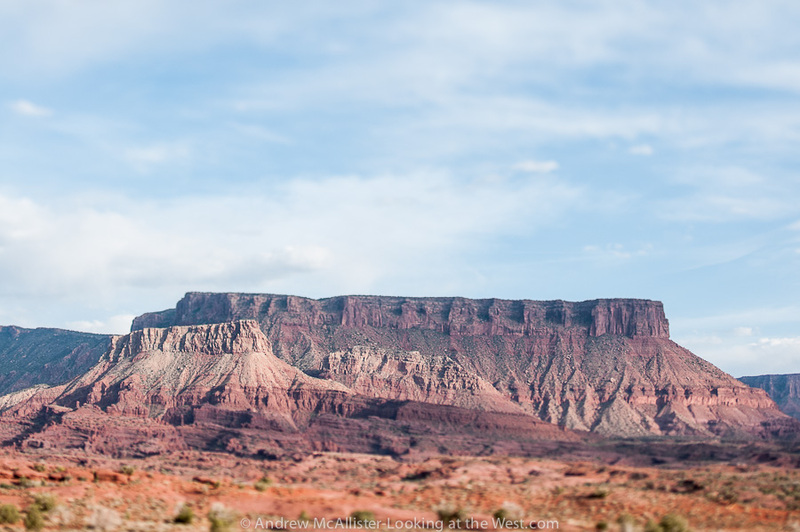 On our last trip to Moab we decided to not just take 191 south from Cresent Junction but instead go north of I-70 and do some exploring in the Book Cliffs and Sego Canyon. That part of the adventure ended in the (almost) ghost town of Thompson Utah and the next part would be the Colorado River Scenic Byway. 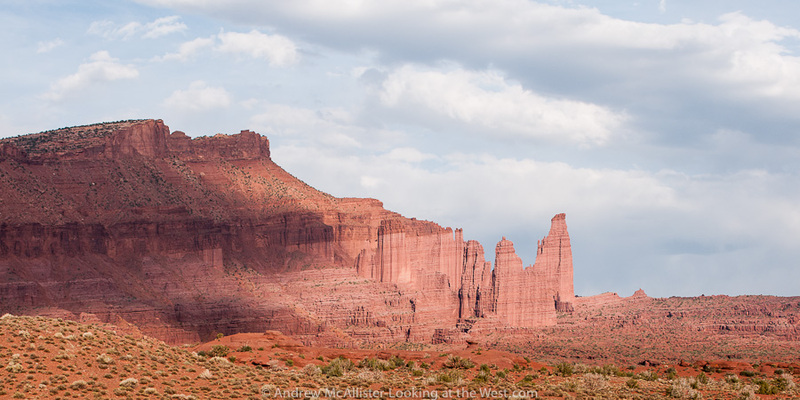 A pullout near Fisher Towers would be the location of a quick road side dinner and some creative photography. Recently I have become interested in the technique of tilting the camera lens for artistic and technical effects. Most of the examples I have seen are of city or industrial scenes so I thought I would try it out on some southern Utah landscapes. Above: Fisher towers. Below: Mesa near Fisher Towers with tilt blur effect. 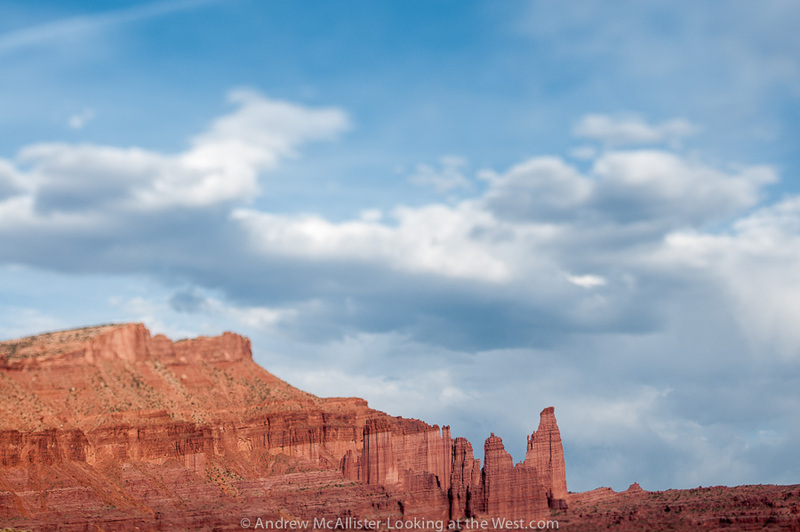 Below: Fisher towers with with tilt blur effect on the sky and the top of the red rock. 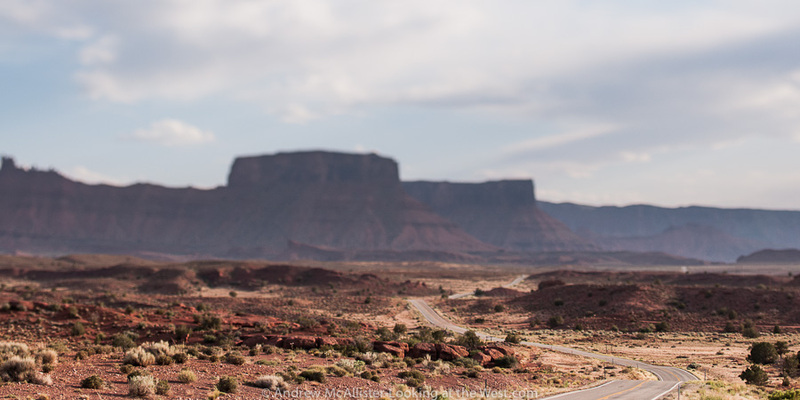 Below: Road into Moab (128) with tilt blur effect. It takes some practice using the lens in the field and getting the effect where you want it. The look is easily faked in Photoshop, for me though it is way more interesting to think about and apply the technique in camera. A matchbook truck would enjoy it. Never thought of the effect that way.